Traditional firefighting isn't enough — we need smart investments in wildfire research, technology and new programs that work. The Snowy Mountain wildfire, currently the largest in B.C., is visible from Cawston, B.C., Aug. 2, 2018. The invitations came from all over, from Los Angeles, to Whitehorse in the Yukon, and from Campbell River on Vancouver Island, to Portland, Me. I had serious doubts that anyone in Whitehorse would come out to hear me speak on a Saturday night in the dead of winter when it was close to -30 degrees Celsius. An aerial view of the burnt forest near Fort McMurray, Alta., after wildfires in May 2016. Fire is a natural process that makes forests more resilient to drought, disease and future fires. And it's good for wildlife. While this helps, it's not the whole answer. The only thing that is going to stop a big wind-driven fire that typically blows in from the east is the Pacific Ocean, Ralph M. Terrazas, the fire chief of the Los Angeles Fire Department, said during the question-and-answer session that followed. Residents look over the damage in Fort McMurray, Alta. What's needed is a national wildfire strategy such as the one proposed by the Canadian Council of Forest Ministers several years ago. Many of the best recommendations made in a report commissioned by the council haven't yet been implemented, including the need to invest in wildfire science. Take A Look At The Wildfires Raging Across B.C. 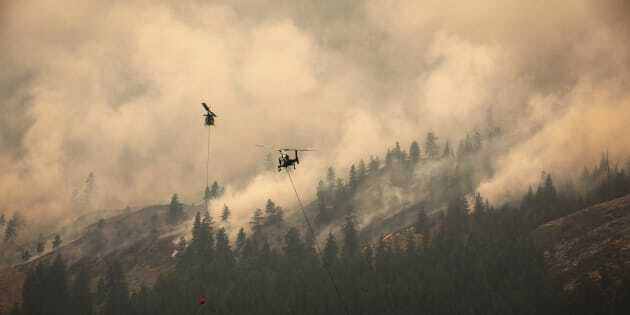 What's needed is funding agencies such as the Natural Science and Engineering Research Council to step in and identify wildfire as a priority issue for researchers. What's needed is for the FireSmart program to be accelerated with more funding from the provinces and territories. And finally, what's needed is for the federal government to restore funding for the Canadian Forest Service to at least 1990s levels, when it employed 2,200 people. CFS employs about 700 people now, and only about a dozen of those are wildfire scientists.